The new space-age development is situated on the former ‘solid rocket motor testing’ area known as the Western Development Area of Westcott Venture Park. This area was granted Enterprise Zone status in April last year to attract further space propulsion and environmental engineering businesses to the site. Reaction Engines is a privately held company based in Culham, Oxfordshire with a subsidiary office in Colorado, USA and employs more than 100 people. It was formed in 1989 to design and develop a new class of innovative hypersonic and space-access propulsion system – the Synergetic Air-Breathing Rocket Engine (SABRE). 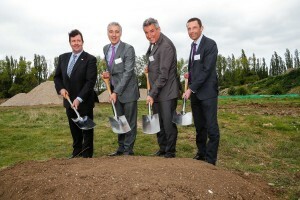 A ground breaking ceremony took place on 4 May to mark the start of construction. In attendance were Reaction Engines, its partner BAE Systems, and members of the UK and European Space agencies. World leaders in space technology, which are also based at Westcott Venture Park joined the day’s events including: Moog, Airborne Engineering, SSTL, The Falcon Project and European Astrotech, along with members of the Westcott Venture Park management team and owners Rockspring Property Investment Managers LLP. Andrew added: “This investment at Westcott Venture Park will not only help facilitate growth in the Buckinghamshire economy but also further establish Buckinghamshire as a global centre of excellence in space technology testing – building on the recent decision to establish the National Propulsion Test Facility at Westcott. Mark Thomas, Managing Director, Reaction Engines Limited said: “Our new test facility and assembly building represents an important landmark for Reaction Engines as we transition from a research phase into the development and testing of the SABRE Engine. Westcott Venture Park is now home to 76 businesses and provides employment space for more than 600 people and is managed by Lambert Smith Hampton. 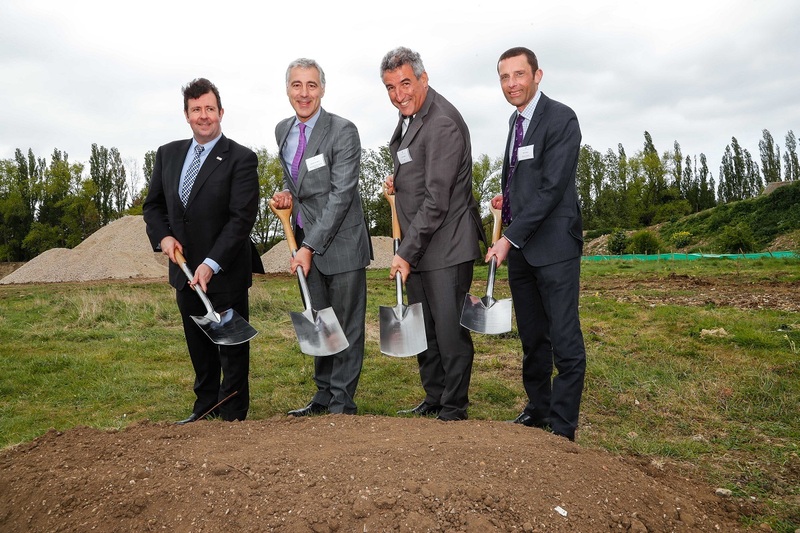 Photo captions L to R: Turf cutting image: Dr Chris Castelli, director UK Space Agency, Richard Harrington, CEO Buckinghamshire Thames Valley LEP, Franco Ongaro, director of technology, engineering and quality, ESA, Mark Thomas, COO and engineering director Reaction Engines.